Embracing the cultural histories of glassmaking, cooking and crafting, Erica Rosenfeld’s work celebrates community-centric, obsessive, labor-intensive ritual. Rosenfeld received a BA in Fine Art from Kenyon College. 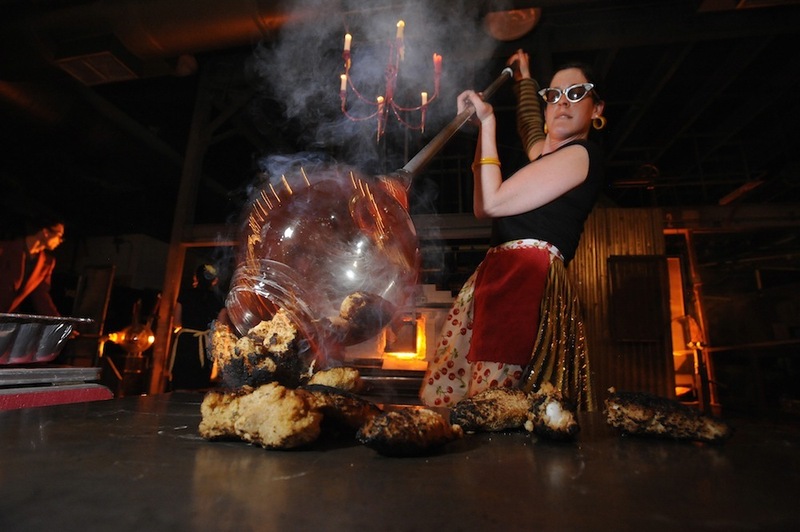 Her hybrid artistic practice has centered on the performative, sculptural, and social aspects of glass and food-making. She is the co-founder of the performance collective Burnt Asphalt Family with whom she has performed throughout the United States including at the Corning Museum of Glass and the Chrysler Museum of Art. Her work has been featured in publications such as Art News, The New York Times, Glass Magazine, and New Glass Review. Rosenfeld shows her work at Heller Gallery in NYC and has work that is held in private and public collections nationally. She has been featured in exhibitions at the Museum of Arts and Design, Kentucky Museum of Art, Racine Art Museum, Boise Art Museum, Museum of American Glass, the John Michael Kohler Arts Center, and Cornell Art Museum. She has taught at Pilchuck Glass School, The Studio at The Corning Museum, and Urban Glass as well as has been a visiting artist at Tyler School of Art, University of Louisville and Ball State University, and The Academy of Fine Arts in Wroclaw. Rosenfeld has also been awarded residencies at The Museum of Arts and Design, Wheaton Arts, and The Corning Museum of Glass.